Step 1 — Install Redis Starting with the Droplet that will host our master server, our first step is to install Redis. First we need to enable the EPEL repository on our machine. If you are unfamiliar with it, EPEL is the Extra Packages for Enterprise Linux repo, developed by the Fedora project with the intention of providing quality third-party packages for enterprise users of RHEL-based distros. wget http://dl.fedoraproject.org/pub/epel/7/x86_64/e/epel-release-7-5.noarch.rpm If wget is not recognized, try running yum install wget before the above command. Now run: sudo rpm -ivh epel-release-7-5.noarch.rpm And now type in: sudo yum -y update Note that this may take a while to complete. Now you may install Redis on your machine, by running: sudo yum install redis -y Once the installation process has finished, starting the Redis service is done by entering the following command: sudo systemctl start redis.service And checking its status can be done with the following command: sudo systemctl status redis.service Which outputs something similar to: Output redis.service - Redis persistent key-value database Loaded: loaded (/usr/lib/systemd/system/redis.service; disabled) Drop-In: /etc/systemd/system/redis.service.d └─limit.conf Active: active (running) since Wed 2015-07-22 02:26:31 EDT; 13s ago Main PID: 18995 (redis-server) CGroup: /system.slice/redis.service └─18995 /usr/bin/redis-server 127.0.0.1:6379 Finally, let's test our Redis setup by running: redis-cli ping This should print a PONG as the response. If this is the case, you now have Redis running on your server, and we can start configuring it. An additional test for our setup can be done by running: redis-benchmark -q -n 1000 -c 10 -P 5 The above command is saying that we want redis-benchmark to run in quiet mode, with 1000 total requests, 10 parallel connections and pipeline 5 requests. For more information on running benchmarks for Redis, typing redis-benchmark --help in your terminal will print useful information with examples. Let the benchmark run. After it's finished, you should see output similar to the following: Output PING_INLINE: 166666.67 requests per second PING_BULK: 249999.98 requests per second SET: 200000.00 requests per second GET: 200000.00 requests per second INCR: 200000.00 requests per second LPUSH: 200000.00 requests per second LPOP: 200000.00 requests per second SADD: 200000.00 requests per second SPOP: 249999.98 requests per second LPUSH (needed to benchmark LRANGE): 200000.00 requests per second LRANGE_100 (first 100 elements): 35714.29 requests per second LRANGE_300 (first 300 elements): 11111.11 requests per second LRANGE_500 (first 450 elements): 7194.24 requests per second LRANGE_600 (first 600 elements): 5050.50 requests per second MSET (10 keys): 100000.00 requests per second Now repeat this section for the Redis slave server. If you are configuring more Droplets, you may set up as many slave servers as necessary. At this point, Redis is installed and running on our two nodes. If the output of any node is not similar to what is shown above, repeat the setup process carefully and check that all prerequisites are met. Step 2 — Configure Redis Master Now that Redis is up and running on our two-Droplet cluster, we have to edit their configuration files. As we will see, there are minor differences between configuring the master server and the slave. Let's first start with our master. Open /etc/redis.conf with your favorite text editor: sudo vi /etc/redis.conf Edit the following lines. Set a sensible value to the keepalive timer for TCP: /etc/redis.conf tcp-keepalive 60 Make the server accessible to anyone on the web by commenting out this line: /etc/redis.conf #bind 127.0.0.1 Given the nature of Redis, and its very high speeds, an attacker may brute force the password without many issues. That is why we recommend uncommenting the requirepass line and adding a complex password (or a complex passphrase, preferably): /etc/redis.conf requirepass your_redis_master_password Depending on your usage scenario, you may change the following line or not. For the purpose of this tutorial, we assume that no key deletion must occur. Uncomment this line and set it as follows: /etc/redis.conf maxmemory-policy noeviction Finally, we want to make the following changes, required for backing up data. Uncomment and/or set these lines as shown: /etc/redis.conf appendonly yes appendfilename "appendonly.aof" Save your changes. Restart the Redis service to reload our configuration changes: sudo systemctl restart redis.service Now that we have the master server ready, let's move on to our slave machine. Step 3 — Configure Redis Slave We need to make some changes that allow our slave server to connect to our master instance: Open /etc/redis.conf with your favorite text editor: sudo vi /etc/redis.conf Edit the following lines; some settings will be similar to the master's. Make the server accessible to anyone on the web by commenting out this line: /etc/redis.conf #bind 127.0.0.1 The slave server needs a password as well so we can give it commands (such as INFO). Uncomment this line and set a server password: /etc/redis.conf requirepass your_redis_slave_password Uncomment this line and indicate the IP address where the master server can be reached, followed by the port set on that machine. By default, the port is 6379: /etc/redis.conf slaveof your_redis_master_ip 6379 Uncomment the masterauth line and provide the password/passphrase you set up earlier on the master server: /etc/redis.conf masterauth your_redis_master_password Now save these changes, and exit the file. Next, restart the service like we did on our master server: sudo systemctl restart redis.service This will reinitialize Redis and load our modified files. Connect to Redis: redis-cli -h 127.0.0.1 -p 6379 Authorize with the slave server's password: AUTH your_redis_slave_password At this point we are running a functional master-slave Redis cluster, with both machines properly configured. Step 4 — Verify the Master-Slave Replication Testing our setup will allow us to better understand the behavior of our Redis Droplets, once we want to start scripting failover behavior. What we want to do now is make sure that our configuration is working correctly, and our master is talking with the slave Redis instances. First, we connect to Redis via our terminal, on the master server: First connect to the local instance, running by default on port 6379. In case you've changed the port, modify the command accordingly. redis-cli -h 127.0.0.1 -p 6379 Now authenticate with Redis with the password you set when configuring the master: AUTH your_redis_master_password And you should get an OK as a response. Now, you only have to run: INFO You will see everything you need to know about the master Redis server. We are especially interested in the #Replication section, which should look like the following output: Output . . . # Replication role:master connected_slaves:1 slave0:ip=111.111.111.222,port=6379,state=online,offset=407,lag=1 master_repl_offset:407 repl_backlog_active:1 repl_backlog_size:1048576 repl_backlog_first_byte_offset:2 repl_backlog_histlen:406 . . . Notice the connected_slaves:1 line, which indicates our other instance is talking with the master Droplet. You can also see that we get the slave IP address, along with port, state, and other info. Let's now take a look at the #Replication section on our slave machine. The process is the same as for our master server. Log in to the Redis instance, issue the INFO command, and view the output: Output . . . # Replication role:slave master_host:111.111.111.111 master_port:6379 master_link_status:up master_last_io_seconds_ago:3 master_sync_in_progress:0 slave_repl_offset:1401 slave_priority:100 slave_read_only:1 connected_slaves:0 master_repl_offset:0 repl_backlog_active:0 repl_backlog_size:1048576 repl_backlog_first_byte_offset:0 repl_backlog_histlen:0 . . . We can see that this machine has the role of slave, is communicating with the master Redis server, and has no slaves of its own. Step 5 — Switch to the Slave Building this architecture means that we also want failures to be handled in such a way that we ensure data integrity and as little downtime as possible for our application. Any slave can be promoted to be a master. First, let's test switching manually. On a slave machine, we should connect to the Redis instance: redis-cli -h 127.0.0.1 -p 6379 Now authenticate with Redis with the password you set when configuring the slave AUTH your_redis_slave_password Turn off slave behavior: SLAVEOF NO ONE The response should be OK. Now type: INFO Look for the # Replication section to find the following output: Output . . . # Replication role:master connected_slaves:0 master_repl_offset:1737 repl_backlog_active:0 repl_backlog_size:1048576 repl_backlog_first_byte_offset:0 repl_backlog_histlen:0 . . . As we expected, the slave has turned into a master, and is now ready to accept connections from other machines (if any). We can use it as a temporary backup while we debug our main master server. If you have multiple slaves that depended on the initial master, they all have to be pointed towards the newly promoted master. This can be scripted easily, with the following steps needing to be implemented once a failure is detected: From the application, send all requests for Redis to a slave machine On that slave, execute the SLAVEOF NO ONE command. Starting with Redis version 1.0.0, this command tells the slave to stop replicating data, and start acting as a master server On all remaining slaves (if any), running SLAVEOF hostname port will instruct them to stop replicating from the old master, discard the now deprecated data completely, and start replicating from the new master. Make sure to replace hostname and port with the correct values, from your newly promoted master After analyzing the issue, you may return to having your initial server as master, if your particular setup requires it There are many ways of accomplishing the steps explained above. However, it is up to you to implement an adequate solution for your environment, and make sure to test it thoroughly before any actual failures occur. Step 6 — Reconnect to the Master Let's reconnect to the original master server. On the slave server, log in to Redis and execute the following: SLAVEOF your_redis_master_ip 6379 If you run the INFO command again, you should see we have returned to the original setup. 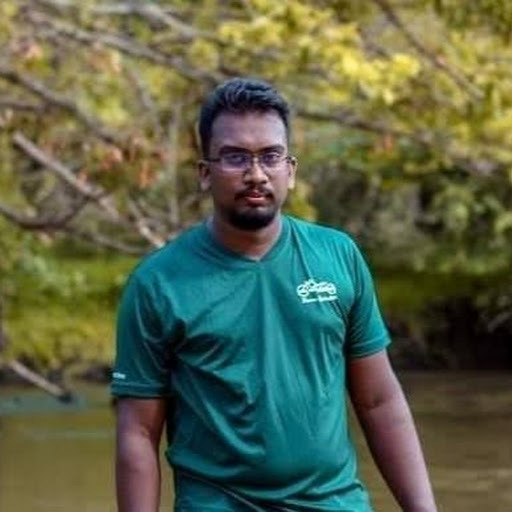 අද කියන්න හදන්නේ අපිට සර්වර් පැත්තෙන් දාන්න වෙන open-source server එකක් වන redis කියන සර්වර් එක දාන විදිහ සහ replication කරන විදිහ. මොකක්ද මේ redis කියන්නේ ? 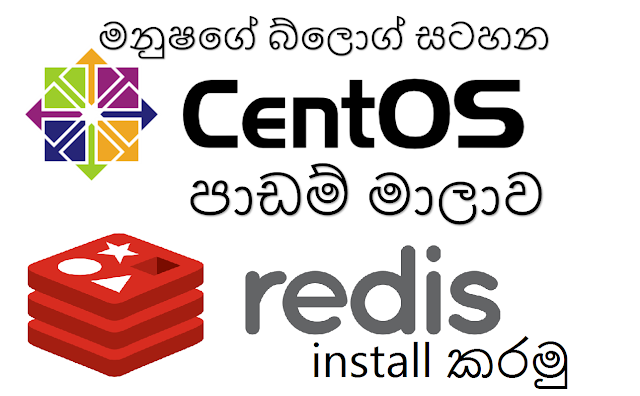 Redis කියන්නේ open source (BSD licensed), in-memory data structure store එකක්, database එකක් විදිහට පාවිච්චි කරනවා. ඒ වගේම cache සහ message broker එකක්. 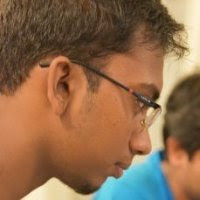 මේක support කරනවා strings, hashes, lists, sets, sorted sets with range queries, bitmaps, hyperloglogs and geospatial indexes යන data structures වලට radius queries වලින්. ඉතින් මේකේ built-in replication, Lua scripting, LRU eviction, transactions and different levels of on-disk persistence සහ provides high availability via Redis Sentinel and automatic partitioning with Redis Cluster. මේ wget කියන කමාන්ඩ් එක වැඩ කරේ නැත්තම් , yum install wget කියල ගහන්න.